Our TDLR Defensive Driving Safety Course school number is C2786. We are bonded, insured, and have served more than 15,200 students since 2009. Fact: Our course has no Texas Driving Safety School final exam. Just answer the short quizzes at the end of each lesson of the traffic school and you're done. Take our quizzes as many times as you need to complete the course—you cannot fail the Texas drivers safety education / traffic school. Four easy steps and you're done with the Texas traffic school! Traffic school certificate. Once you complete the course, your Texas certificate will be mailed to you by USA Traffic, our approved certificate provider. 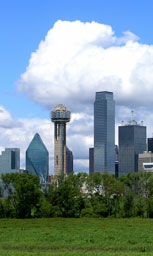 Your certificate of completion will be processed and mailed within one business day from Austin, TX. Once you have submitted your Completion Certificate, the court will notify you when your dismissal has been processed. What sets us apart from the other Texas driving school competition? Best customer service: Our hallmark since 2009, Texas defensive driving students are amazed at how we go the extra mile to ensure they get their course done on time. How will I benefit from taking an online Texas Driver Safety Course / Texas Defensive Driving Course? Here are some reasons you will benefit from our online Texas Driver Safety Course. Dismiss your ticket: Keep points off your driving record by taking this course for a ticket in Texas. Get both of the above (if you're eligible)! How can I order my Texas driver's record? Texas drivers can order their driving record online and print it out immediately here. You may take a Texas defensive driving course to dismiss a ticket once every 12 months. Make sure you request permission from the court to do so before the appearance date on your ticket. Your eligibility to take a defensive driving course in Texas will be determined by the Texas court in which you received your speeding ticket. Texas law requires all online defensive driver courses to span six hours in length. Texas state law requires that a person who takes a driving safety course for ticket dismissal must pay at least $25. We honor that minimum price and do not charge more, unless you request express certificate delivery. 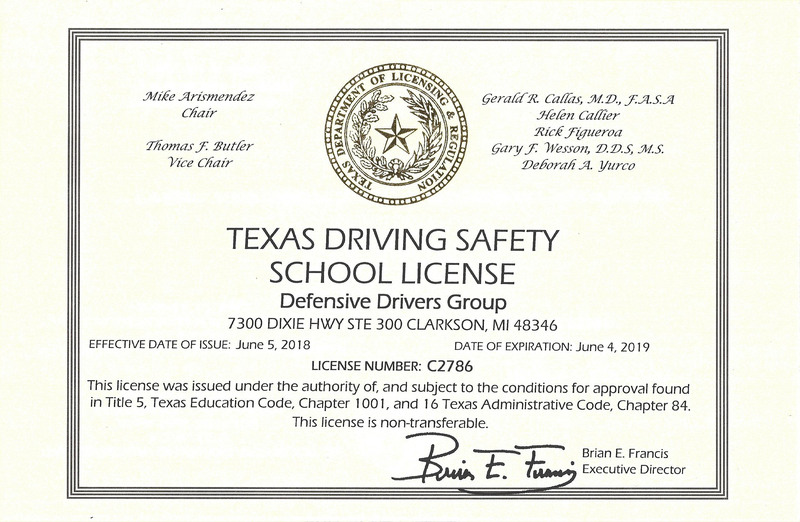 The Defensive Drivers Group online driver safety course Texas lets you learn at your own pace on your schedule. Feel free to log in from any computer and to start and stop as you wish.